This is a simple but powerful addition to any company's website. Consider the 'Contact Us' form on your site - who gets those emails? How to keep track of follow ups? Conversions? There is a better way. 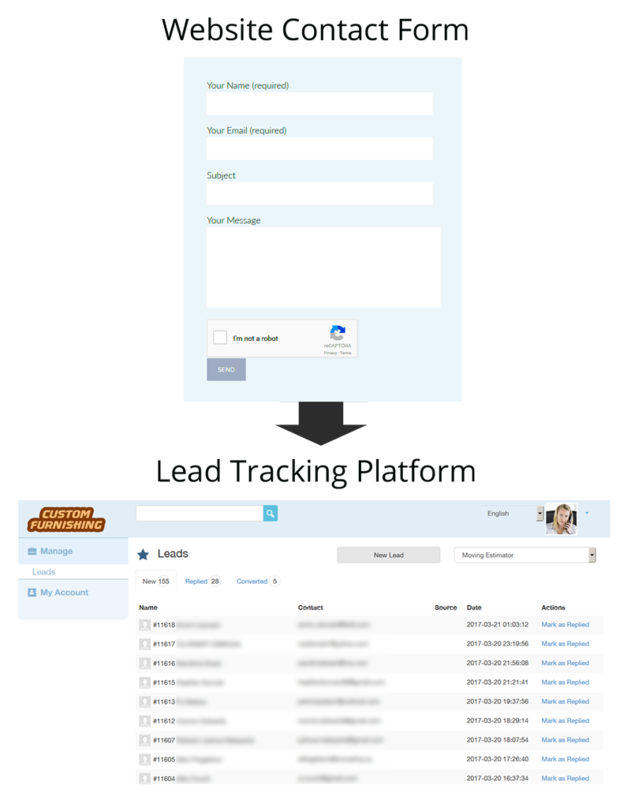 Yes, there are more expensive and complicated tools like Salesforce - but often it's too big of a solution for the small issue of tracking leads. Our platform very simple, cheap and gets the job done. We can customize the form for your needs. For example, if your form requires custom quoting information or file uploads - it's a one time setup that will help grow you business.